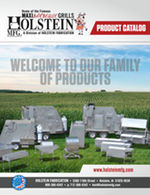 The Roll Top Rotisserie Grill is the “Boss’s Choice.” This unit is thermostatically controlled, with four baskets on a rotisserie, so whatever is grilled, roasted, or smoked will be mouth-watering delicious each time. With the design of the baskets the products cooked will be self-basted. You can turn the thermostat to 500 degrees to grill those burgers or steaks, or set it at 200 degrees and use the smoker box to smoke pork loins or ribs. Making this the most versatile unit for the backyard BBQ enthusiast, great for small restaurants, caters, or concession stands. Side Shelf - $125.00 ea. 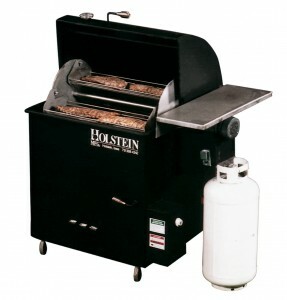 Side Burner - $500.00 ea. 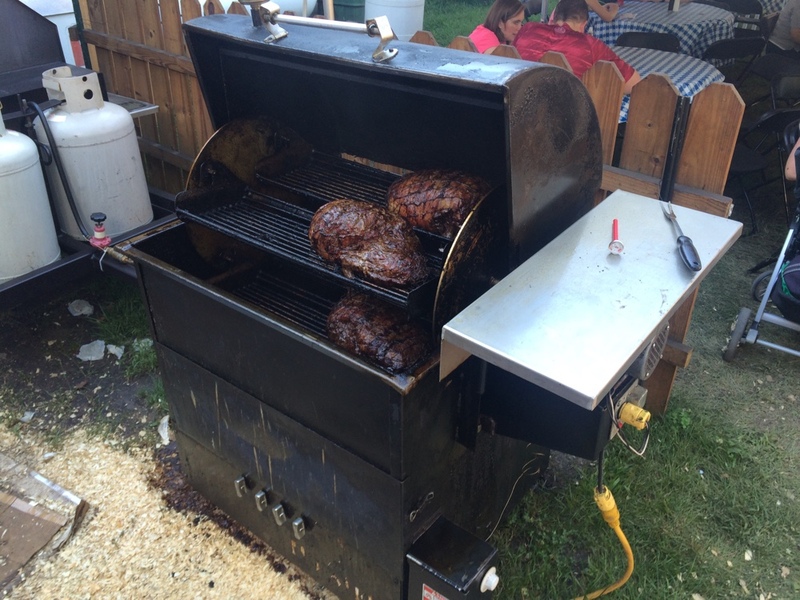 Model RTR 3630 in action cooking Leg of Lamb at the Iowa State Fair.